​Lindelani Sibiya is a Senior Process Technician in the Process Services Department at Umgeni Water. He holds a B Tech degree in Chemical Engineering and is currently studying towards a BSc honours degree in Water and Waste Water Utilization. Lindelani has five years of experience in drinking water applied research projects such as membrane filtration and nanotechnology disinfection amongst others. He is also providing valuable technical support to Operations in process optimization and trouble-shooting. Lindelani is a member of WISA and is currently registered as a Candidate Engineering Technologist with ECSA. ﻿Londiwe has experience in the water sector under the employment of Water & Sanitation Unit of EThekwini Municipality. She holds an undergraduate degree in Applied Chemistry from UKZN, BSc (Hons) degrees in Environmental Management & Water Utilisation and Project Management. She has experience in environmental management with particular focus on surface water protection. She has served in the YWP since 2014 in various portfolios and is currently the KZN Lead. Sibusiso has been with WISA YWP for over 5 years, serving in various positions in the committee. He also serves in other WISA divisions. His current interests in the water sector are water chemistry, industrial effluent treatment, desalination and water supply. ​Mbali Sibiya is currently working for Umgeni water as a Process and Quality Technician. She holds a National Diploma in Chemical Engineering. She has extensive experience in process control and operations in water treatment works. She has great passion for knowledge sharing and continuous development. Vivian will be completing her Masters degree in Biological Science in 2019. Her research project aimed to manage waste while providing improved sanitation, conserving water and producing fertilizers for agriculture. She is interested in environmental monitoring and aspires to become an environmental management professional. 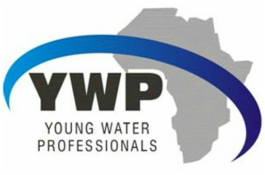 Sanele Mazibuko has been a committee member for YWP-ZA KZN chapter since April 2015 and is very passionate about the sustainability of professional growth and skills of the water sector. He holds a BSc Chemical Engineering degree from the University of KwaZulu-Natal and a BCom Financial Management degree from the University of South Africa. He has more than nine years of process engineering experience from different industries such as glass manufacturing, pulp and paper, catalyst and water. He is currently working as a Process Engineer at Umgeni Water, where he is responsible for process engineering support in the form of plant commissioning, optimization, design, and process audits for water treatment plants. Sanele is a member of the South African Institution of Chemical Engineers (SAICHE) and registered as a professional engineer with Engineering Council of South Africa (ECSA). He is the Treasurer of YWP-ZA KZN chapter for the period 2016-2018. Mxolisi is a dedicated member of YWP. He holds a MTech in Chemical Engineering from DUT. He has work experience in process control and optimization as well as industrial monitoring and regulation. He is currently employed by eThekwini Water and Sanitation. On his spare time he enjoys listening to music and watching soccer. Ntokozo holds a BSc(Hons) in Water Utilization and passionate about water and wastewater treatment and research. He is currently employed as a Process Technician in Umsunduzi Municipality, focusing on water and wastewater quality related functions. Sandile is a Process Engineer at Industrial Oleochemical Products (IOP) and has been providing technical support, trouble shooting, selection of treatment products and optimization of industrial water treatments for different industries. He holds a BTech Chemical Engineering and Management and PGDip in Business Management.